Our phones aren’t just phones anymore, they’re media consumption devices, too. This makes the selection of headphones an important decision to maintain the best possible experience when streaming a show on Netflix or Youtube TV or listening to a podcast or an album on Google Play Music or Spotify. There are endless choices out there for headphones, so which one is right for you? If you break things down into categories you can find out which features are really the most important for you. Headphones come in two major categories: those which sit on top of the ear and those which surround the ear. On-ear headphones are routinely more compact when folded up and take up less space in a bag or purse. Some customers prefer the aesthetics of on-ear headphones as over-the-ear headphones are often bigger and bulkier. 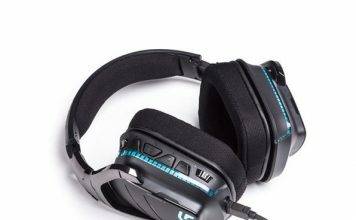 On-ear tend to isolate less sound and most people find them less comfortable, but this will vary based on the build materials. Over-the-ear headphones have a big advantage in the sound they put out. This is largely due having larger drivers which can put out better and louder sound. While over-the-ear headphones are bigger and bulkier, they’re often more comfortable; they sit around the ear, instead of compressing the ear. How you plan to use in-earbuds will tell you a lot about the style you need to look for. If you’re just lounging around the house or at work with your earbuds plugged into your phone, any old pair will do. 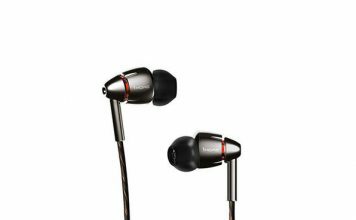 You can generally find no frills earbuds with quality sound for cheap. Where you may want to step up your purchase is if you want to use your earbuds while exercising. Any runner will tell you that having your earbuds pull out of your ear due to cord tension is less than ideal. This can actually endanger your phone due to it being pulled out of whatever secure location you have it in and falling to the ground. No-one wants that. Bluetooth earbuds are the best option here to avoid any conflicts. Another feature you’ll need to look for is water resistance or waterproofing. Since you’ll be sweating during your workout (hopefully), you need to make sure to pick up a pair of earbuds that won’t be ruined by liquids. If you plan to use them while swimming, look for a pair that has at least an IPx7 rating. This should ensure that they won’t be ruined in the pool. Depending on the model, some earbuds will provide earhooks to help ensure the earbuds do not slip out. Most companies will include multiple tips and hooks of various sizes. While it may not feel much like a “special” feature, be sure to look out for the inclusion of a microphone on your headphones. A microphone takes your headphones from just a media consumption accessory to a communication device as well. Another feature to look at must be closed back vs. open back. 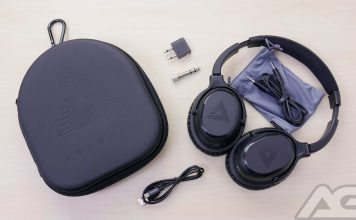 Open back headphones like the Audio-Technica AUD ATHAD500X provide a bigger sound stage (The area between two speakers or in headphones that appears to the listener to be occupied by sonic images). Closed back headphones, however, leak much less audio but tend to have a more narrow sound stage. 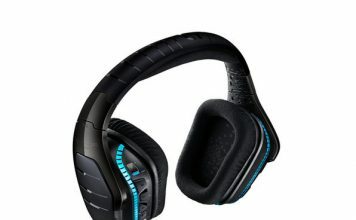 Many headphones, especially the wireless kind, will include inline controls for actions like answering calls, raising and lowering volume, as well as play and pause. Some headphones will house these controls in the cable while others prefer buttons on the sides of the earcups. 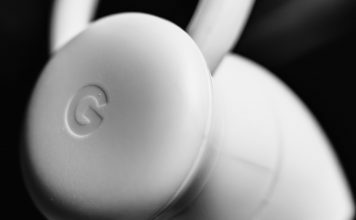 Some go above and beyond like the BackBeat PRO and will automatically play and pause music when it senses you taking the headphones on or off. Also, be sure to check out what accessories come with your headphones. Does it come with a hard carrying case? A protective bag to put the headphones in during transport? Does it come with any additional cables? All of these things can be important to you getting the total package. Not all circumstances call for a 6-foot long cable so maybe it comes with a 3-foot coiled cable too. These little details can be the difference between a satisfactory or unsatisfactory experience. Connectivity is another aspect where headphones vary. Most wired headphones still use the 3.5mm jack but USB type-C is also becoming popular. What’s the difference? Headphones that use the 3.5mm jack require the device to convert the digital signal to an analog signal while USB type-C can process a digital signal. This lets headphone manufacturers place an amplifier into the headset instead of the on-board amplifier found in the phone. While it’s possible to get better sound out of USB type-C headphones, it isn’t always the case. Headphone manufacturers have had over a hundred years of R&D to figure out how to squeeze every ounce out of sound quality out of that jack. Bluetooth headphones, on the other hand, are almost always about convenience. Doing away with wires means your phone can rest in your pocket or on the table. Bluetooth headphones do tend to sacrifice audio quality for that convenience. 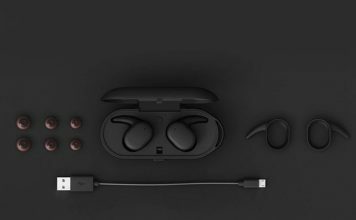 Also take into consideration that most headsets that rely on Bluetooth will need to have an internal battery charged up to function. Some models are versatile enough to work in both Bluetooth and wired modes, such as the Plantronics BackBeat PRO. Bluetooth headphones like the Bose QuietComfort 35 have active noise cancellation which leverage microphones in the headset to cancel out the noise around you, making for an excellent listening experience. You can find this feature on cheaper headphones like the BÖHM Bluetooth Wireless Noise Cancelling Headphones and Sony MDR-ZX770DC. Build quality is an essential factor in your headphone buying journey. While you can find cheaper, well-made headphones, you will generally have to pay for well put together headphones. Here are a few factors to consider when you’re checking out how headphones are constructed. First off, take a look at the headband. Look at whether it’s constructed with any kind of metals or if it’s an entirely plastic design. Also be sure to take a look at if the padding that will rest on your head. You want to make sure that the material appears soft and comfortable in case of any long listening sessions. Another area that you’ll need to make sure appears soft and comfortable are the ear cups that will be resting on your head, whether that be on your ears or around them. Generally the bigger, the better in this case, but be sure to pay attention to the materials that cover the ear cups. Higher quality materials like leather or velour are can be very comfortable but have drawbacks like breathability and how much dirt they pick up. You can find headphones just about anywhere, including local cellular stores. Some like T-Mobile and AT&T will even finance these headphones at 0% just like smartphones. If you head to any brick and mortar store that sells electronics, you’re bound to find some smattering of headphones on the shelves. It will be up to you to decide if the selection meets your level of expectations or if you need to move to an online outlet for a larger selection.